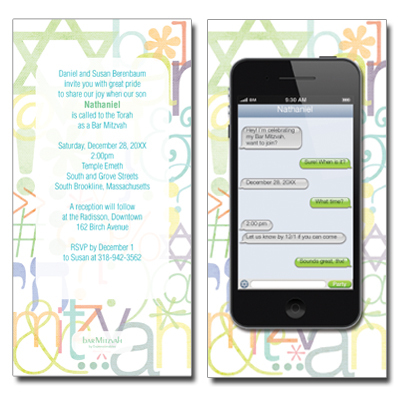 Invite your guests to celebrate your Bar/Bat Mitzvah via text message with our mobile phone inspired invitation. 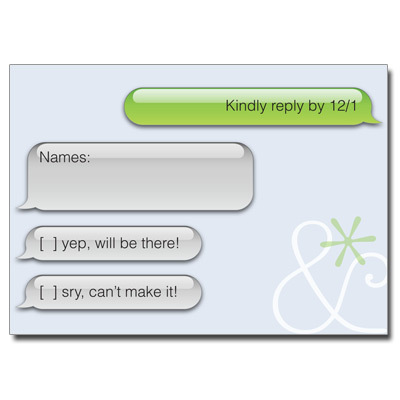 This double-sided design features a cell phone with text message conversation displayed on one side and traditional invitation wording on the other for those less techy savvy. 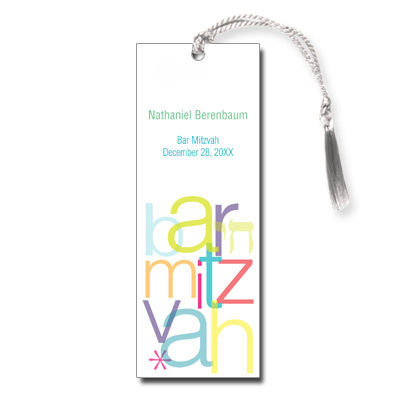 Both sides are accented with a border of colorful and modern symbols. 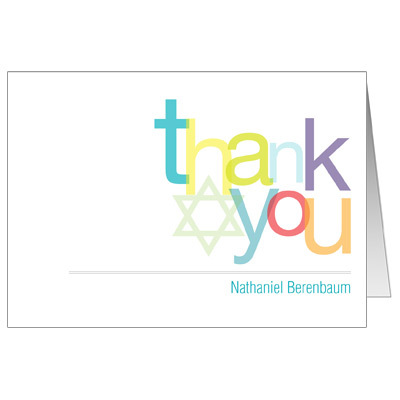 Card measures 3.5x7.